Meet Dana and Walter from Oklahoma. Walter’s wife of forty years passed away and he was blessed to find love again in Dana. 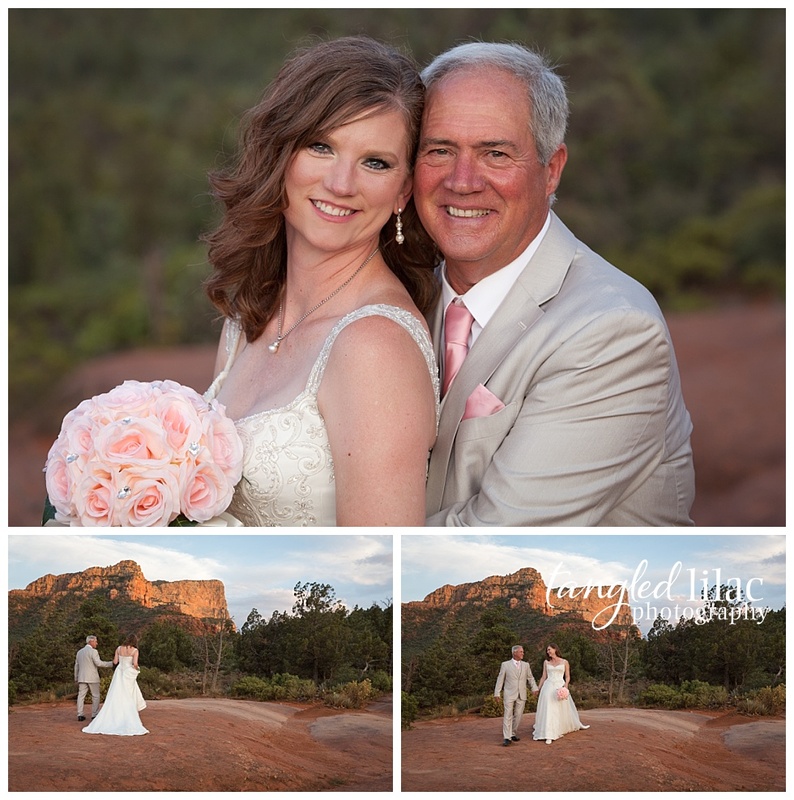 The couple wanted to keep it simple and true to their adventurous spirit. 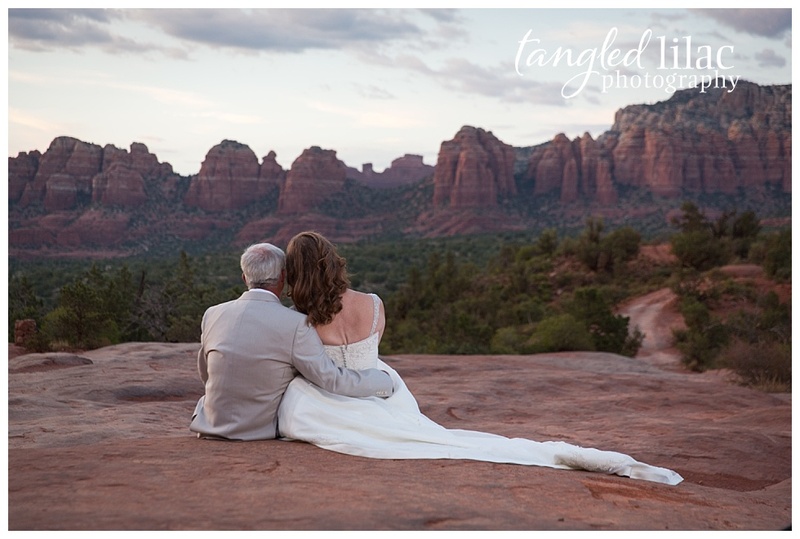 They chose to elope to Sedona. Hitting the spectacular red rocks wasn’t adventurous enough, though. They wanted to add some pink to their day. 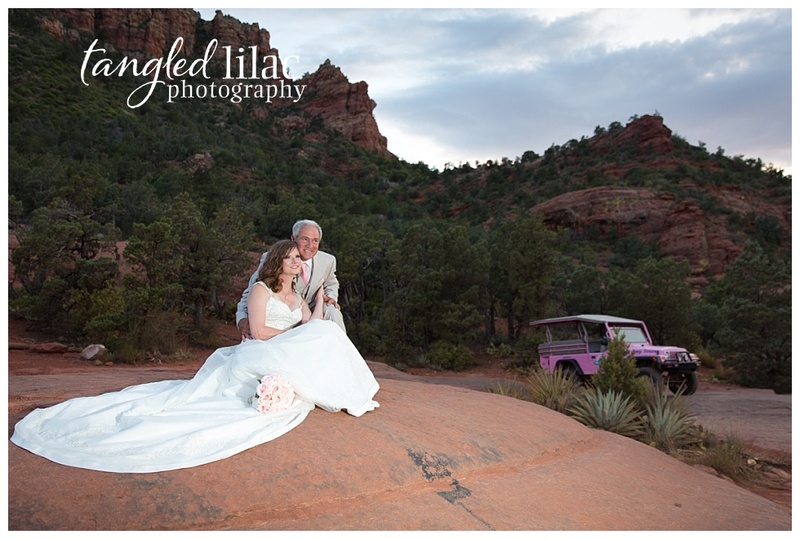 Pink Jeep Tours offers unique Southwest adventures in Sedona, Grand Canyon and Las Vegas. Dana and Walter wanted to add a little extra something to their day. 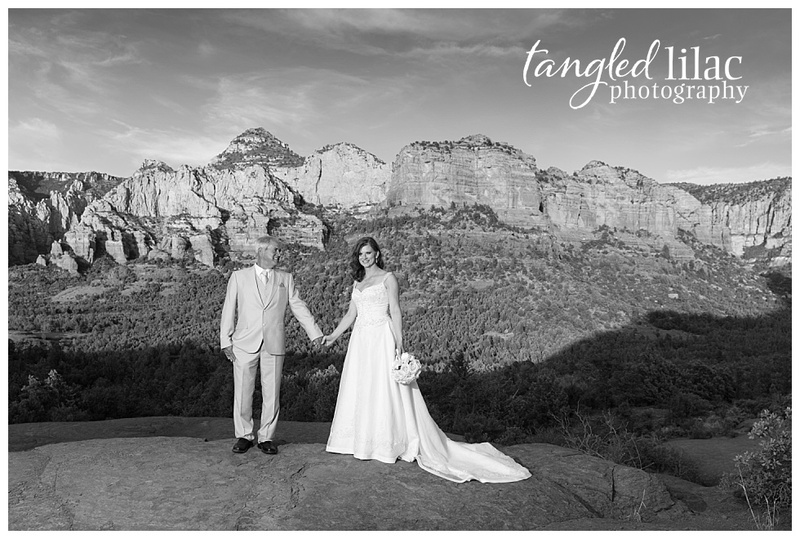 And what could be more special than a private tour around the beautiful red rocks to celebrate beginning their new life together as man and wife? Pink Jeep Tours has conducted over 700,000 tours during their 58 years in business. They offer quick treks or full-day excursions for an up-close look at Sedona’s Red Rocks, the mighty Grand Canyon, and the always thrilling Las Vegas. One of the things I love most about Pink Jeep Tours is they honor the land. They work with local officials to maintain and rebuild trails and take special care during their tours to protect vegetation and wildlife. They know we live in a very special area and they work hard to preserve it for generations to come. 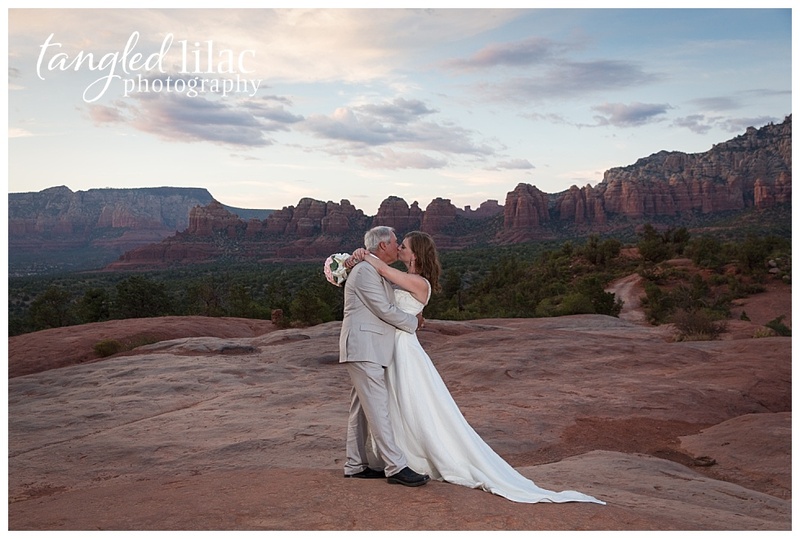 Their commitment to the local environment has earned them the Keep Sedona Beautiful Award of Excellence and the Governor’s Tourism Award on Arizona Preservation. 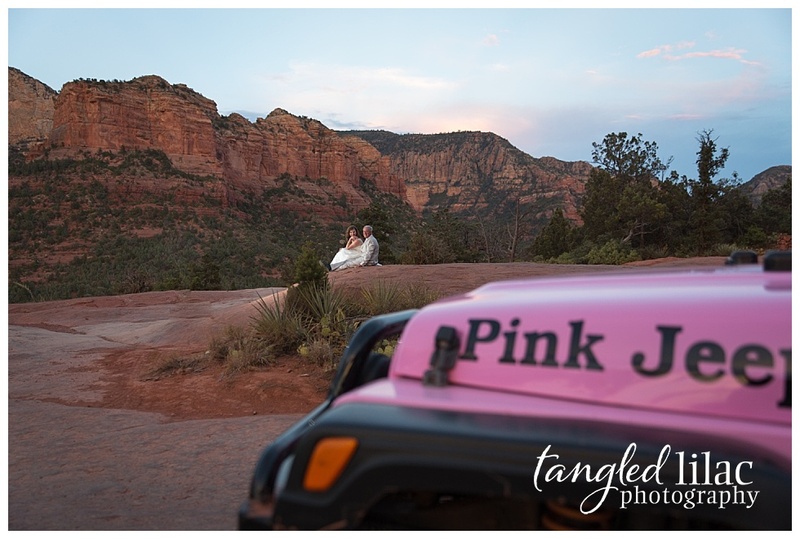 Click here to learn more about Pink Jeep Tours. The famous Red Rocks are made of red sandstone formations. They change color as the sun changes its position in the sky. They can look bright red in the middle of the day, a bright orange about an hour before sunset and the purple hues come out at dusk. 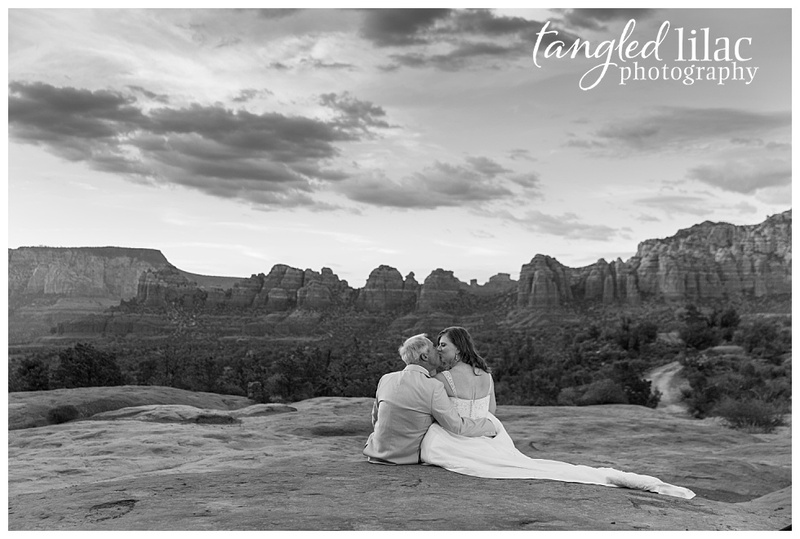 As a photographer that specializes in engagement and elopement sessions, I never tire of staging a photo with the breathtaking backdrops that Sedona has to offer. There is nothing quite like it anywhere else in the world. Yes, the Red Rocks are spectacular in all their color. But a good black and white photo captures the soul of the subject. 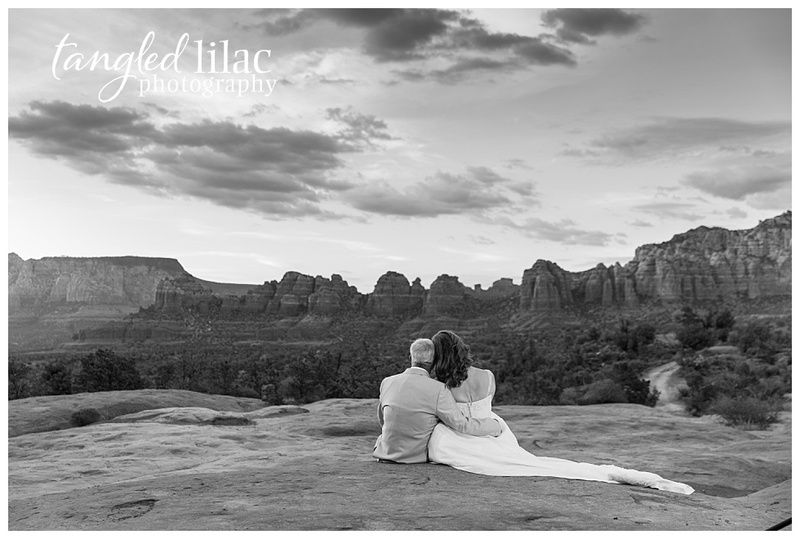 The timelessness of a good black and white holds a magic that is hard to capture in color. Just look at these images of Dana and Walter. Their relationship and love become the focus – you can feel their emotion. It captures the true essence of that moment in time. 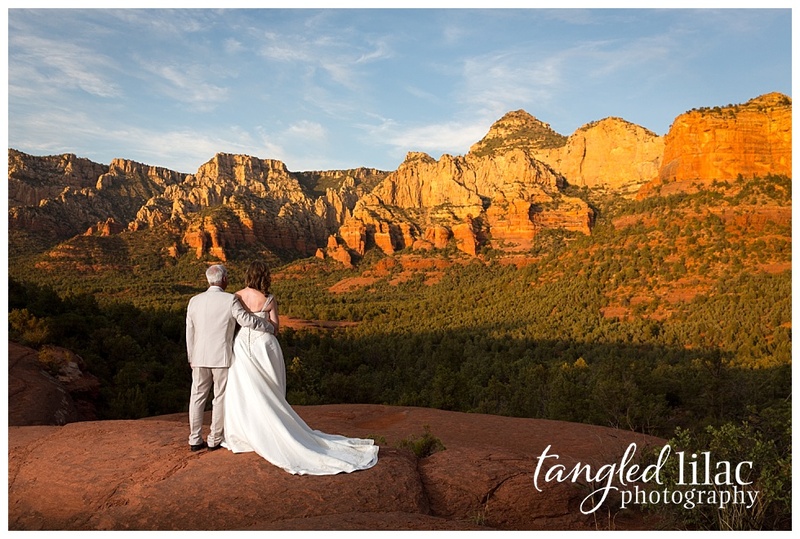 Did you know Sedona is ranked as one of the best places to see a sunset by Travel & Leisure magazine? In the world! I’m not sure I could have said it better myself. I love late afternoon hikes that end as the sun is setting behind some of the stunning formations like Cathedral Rock or Courthouse Butte. It also happens to be one of my favorite things to photograph. 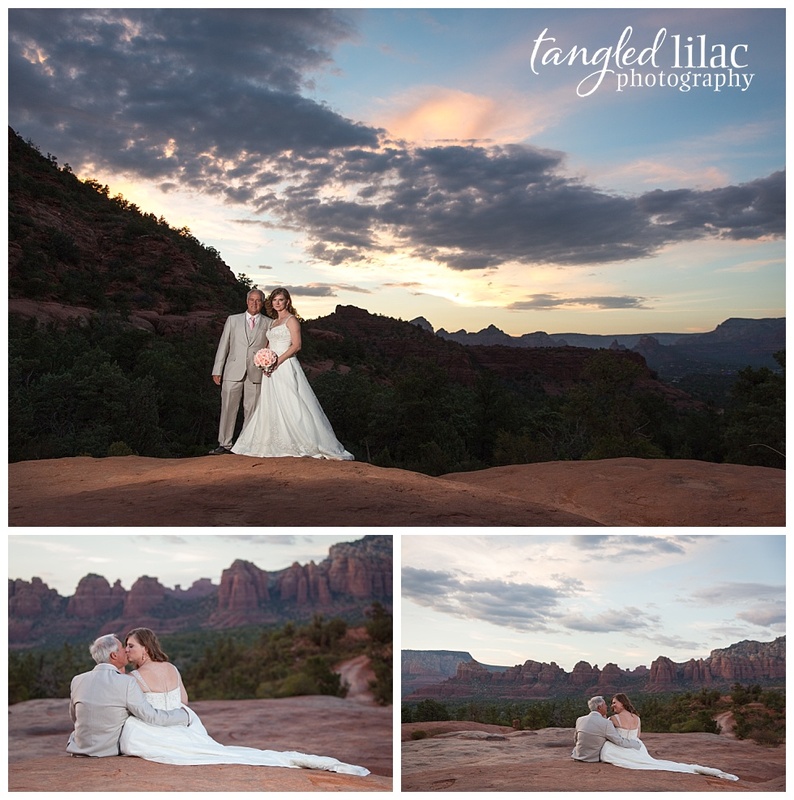 I’m glad my afternoon with Dana and Walter ended with the glow of the sun as it set on the red rocks followed by a beautiful, tranquil dusk. I thoroughly enjoyed getting to know Dana and Walter. I’m honored to be a small part of their special day.